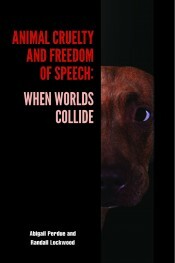 A collaboration between an attorney and an animal protection advocate, this work utilizes the extremely controversial and high-profile “crush video” case, US v. Stevens, to explore how American society attempts to balance the protection of free speech and the prevention of animal cruelty. Starting from the detailed case study of a single prominent ruling, the authors provide a masterful survey of important issues facing society in the area of animal welfare. The Stevens case included various “hot topic” elements connected to the role of government as arbiter of public morality, including judicial attitudes to sexual deviance and dogfighting. 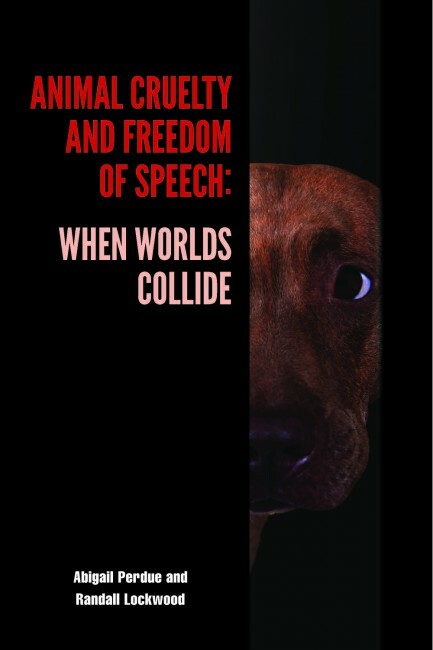 Because it is one of only two animal rights cases that the US Supreme Court has handled, and the only case discussing the competing interests of free speech and animal cruelty, it will be an important topic for discussion in constitutional and animal law courses for decades to come. The Stevens case arose from the first conviction under 18 USC § 48 (Section 48), a federal law enacted in 1999, which criminalized the creation, sale, and/or possession of certain depictions of animal cruelty. The US Congress intended Section 48 to end the creation and interstate trafficking of depictions of animal cruelty in which animals are abused or even killed for entertainment’s sake. Proponents of Section 48 predicted that countless benefits to both humans and animals would flow from its enforcement. Opponents of the law argued that it was too far-reaching and would stifle protected speech. Critics of Section 48 appeared to have prevailed when the US Supreme Court struck the law down as unconstitutionally overbroad. Although a law tailored to address the Supreme Court's concerns was quickly enacted, the free speech/animal cruelty controversy is far from over. Abigail Perdue is an attorney and an associate professor at Wake Forest University School of Law. She trained at Washington and Lee University and the University of Virginia. After practicing employment law in the New York City office of Proskauer Rose, LLP, she returned to Washington and Lee to serve as an adjunct instructor and special consultant to the Pre-Law Program. Her articles have been published in various legal publications.